Item # 309080 Stash Points: 4,795 (?) This is the number of points you get in The Zumiez Stash for purchasing this item. Stash points are redeemable for exclusive rewards only available to Zumiez Stash members. To redeem your points check out the rewards catalog on thestash.zumiez.com. 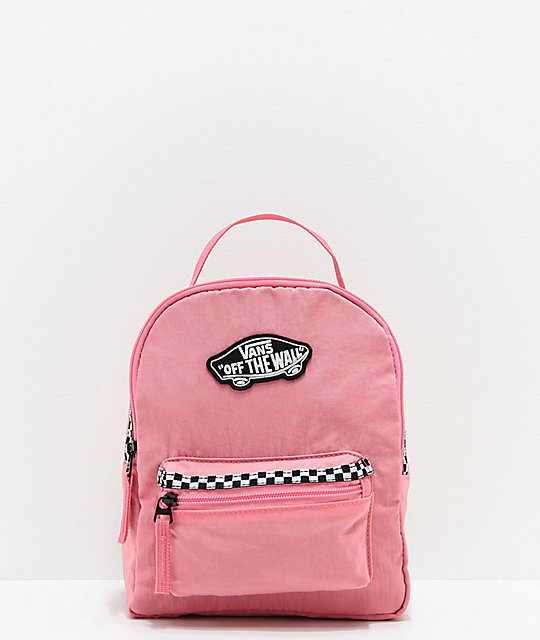 Store your daily needs in compact and weather-resistant style with the Vans Expedition 2 Pink & Microcheckerboard Mini Backpack. This nylon constructed pack fends off water while the large patch logo embroidered front-and-center offers up iconic branding. 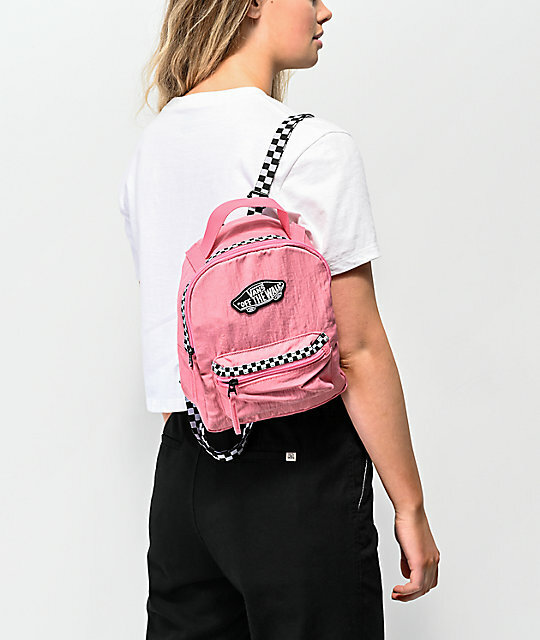 Complete with two pouch pockets with full zip closure and checkerboard stripes lining the zippers, this pack is certainly a must-have. 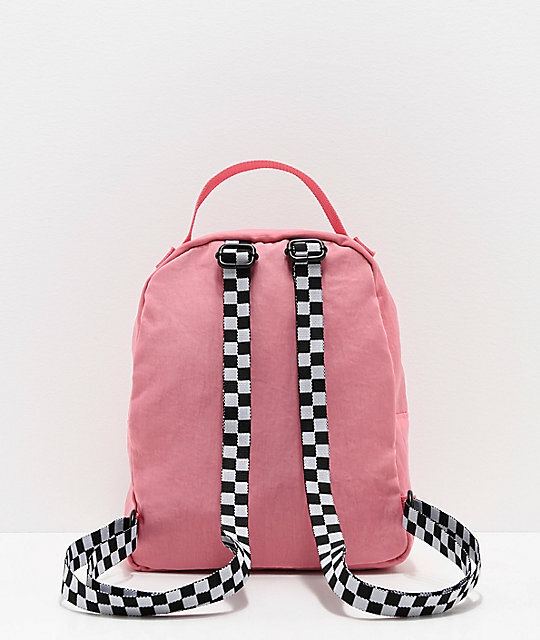 Expedition 2 Pink & Microcheckerboard Mini Backpack from Vans. Checkerboard taping directly adjacent to all zippers. 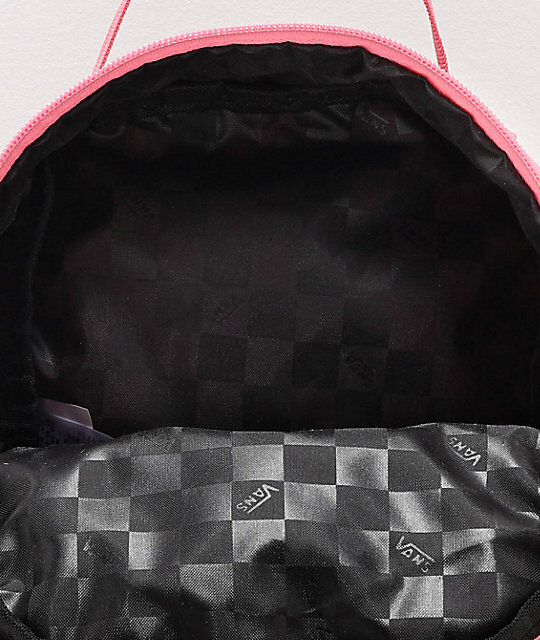 Roomy main compartment with zip closure and a monochromatic black checkerboard lining. Front pouch pocket with zip closure. 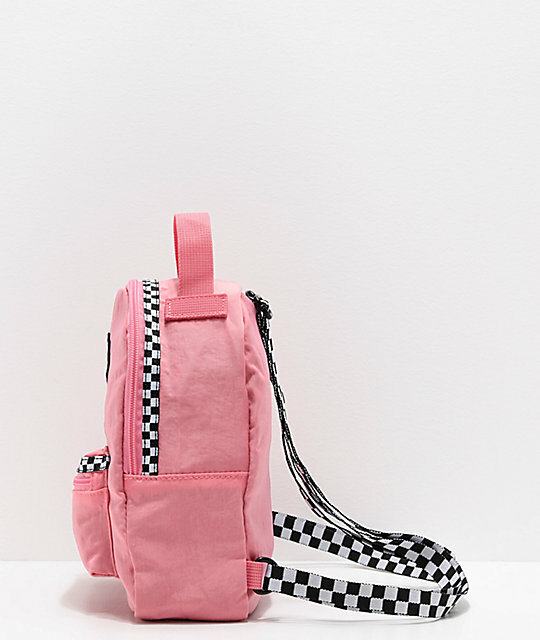 Checkerboard adjustable straps that can be worn as a backpack or as a purse. 100% nylon exterior with a polyester interior lining.